Cointorox is a multifunctional investment platform that offers its customers simple and clear savings packages of services expressed in digital assets. The main mission of the company is to help make the processes of buying, storing, selling and any other operations with cryptocurrencies clear and accessible to a wide range of users. The project is focused both on the audience of any level – both on experienced traders and investors, and on novice cryptocurrency users. The main idea is to provide customers with ready-made investment packages that are formed from sets of high-quality and well-priced digital assets. 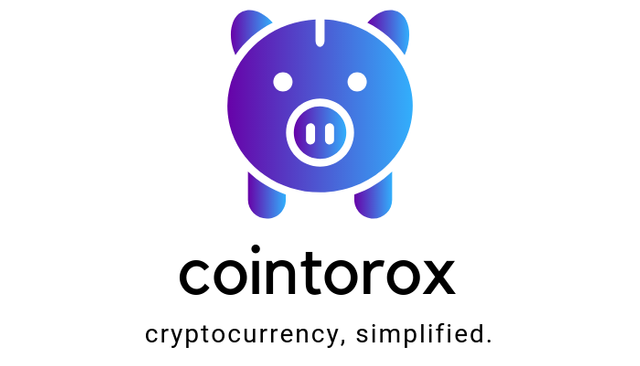 Simply put, Cointorox packages can be viewed as a “digital piggy bank” in which our savings are stored. Packages can be purchased through convenient payment services, such as PayPal or using your credit / debit cards. By purchasing such packages, users become owners of those digital assets that are in the purchased package, among which there are also OROX tokens – the Cointorox platform’s own cryptocurrency. The difficulty with the purchase of cryptocurrency and operations with them. This could include such problems as the search for a local online exchanger that accepts traditional currencies, with all the ensuing consequences in the form of fraud or a very unfavorable exchange rate. There is an option to register on a cryptocurrency exchange and exchange assets there, but in this case you can often encounter problems of lengthy identity verification and long bank transfers. The difficulty of choosing worthy projects. Every investor wants to have strong and promising projects in his list of assets. Since the cryptocurrency market is quite young, in most cases, its services are mainly used by start-ups, which, as we know, do not always survive in the conditions of market competition. Fear of making investment decisions. Looking at how the entire digital asset market is rapidly moving to the bottom, not every person will risk buying cryptocurrencies in his portfolio. Holders of cryptocurrency can experience serious psychological pressure and simply simply quickly get rid of their existing cryptoactive assets, throwing it all away for a pittance. You must admit that in such conditions the digital asset market does not look like an attractive area for investment or a favorable environment that could provide good conditions for the growth of savings. Due to the existence of these problems, investors turn away from such a promising direction as cryptocurrency. Cointorox developers have offered their own solutions to these problems. Their solutions not only help to improve the investment climate in the cryptocurrency market, but also help to attract a large number of ordinary users to the digital sphere, offering them good and profitable services for the possibility of accumulating and increasing their funds. Customers purchase ready-made Cointorox packages. Each such package contains in its composition several cryptocurrencies, distributed in a certain ratio. The list of coins and tokens is manually selected by the Cointorox team so that users can buy reputable digital assets with relatively low risks. If you are afraid that you will not be able to save money, you can for a certain period of time block your funds from yourself in order to avoid unnecessary spending. Automatic reinvestment or withdrawal of profits. Own cryptocurrency of the project – OROX tokens are utilitarian tokens and are needed to activate and deactivate the above services. The developers have provided a deflationary economic model of the project, in which the used tokens are regularly burned. This process reduces the total number of tokens in circulation and increases their value among project users, which undoubtedly has a positive effect on their value. In my opinion, the idea of the project is very worthy, and the platform itself has great potential. Now there is a huge number of various projects, services, platforms, services and all that, but for the most part, customers tend to use only those that can offer an interesting and unusual service that will also be useful and convenient to use. For the implementation of such a project, the main role is played by people in the team and, having a look at the experience of the developers, the Cointorox project is fine with this.